Probably one of the first batches to be made. These don't turn up very often and certainly not in this condition. This has been totally stripped down and re built after each part has been cleaned and polished. This one was pure joy to restore because its what I love myself. 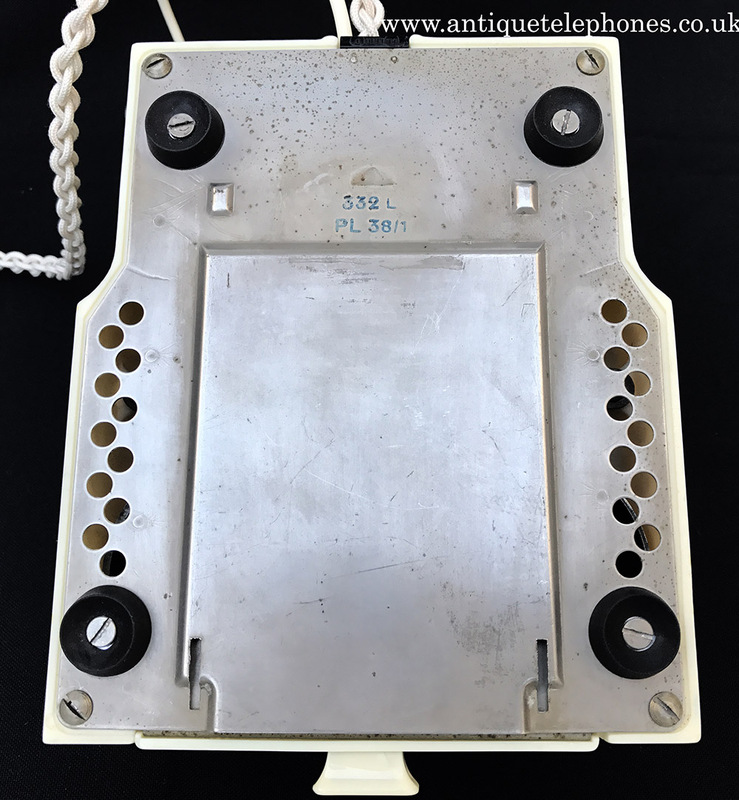 Note the early ones like this one had un painted bases and usually a black cord protector. 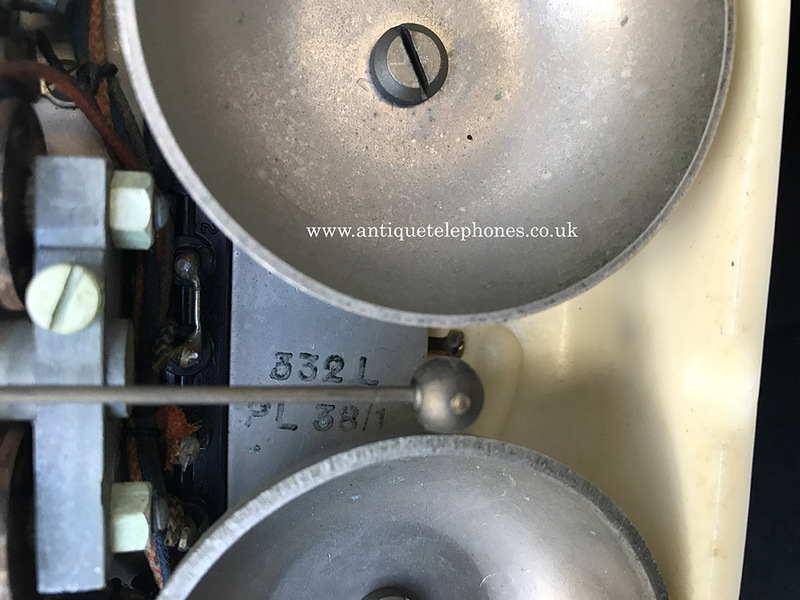 Note this one came with a rare GPO crested drawer which were fitted to coloured telephones from this year. 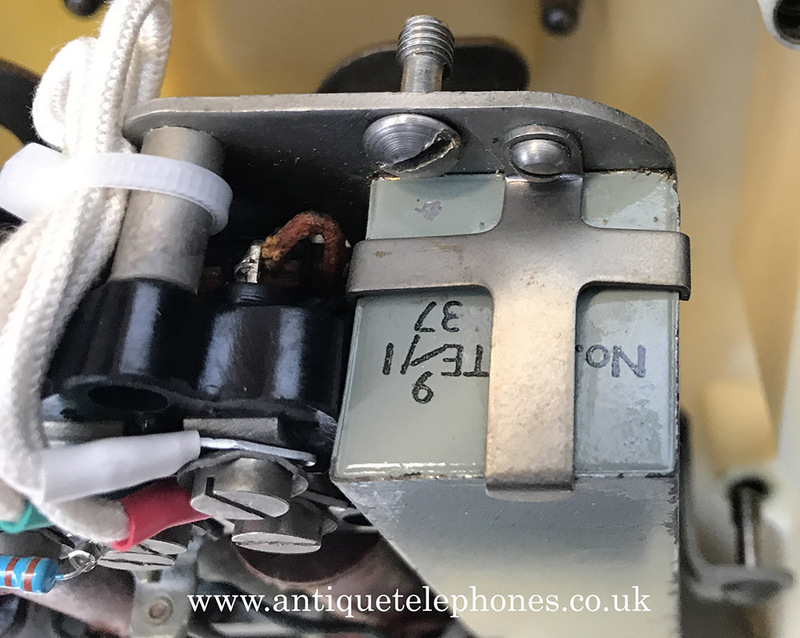 I have taken some pictures of the internals to show the dates which include a capacitor from 1937. 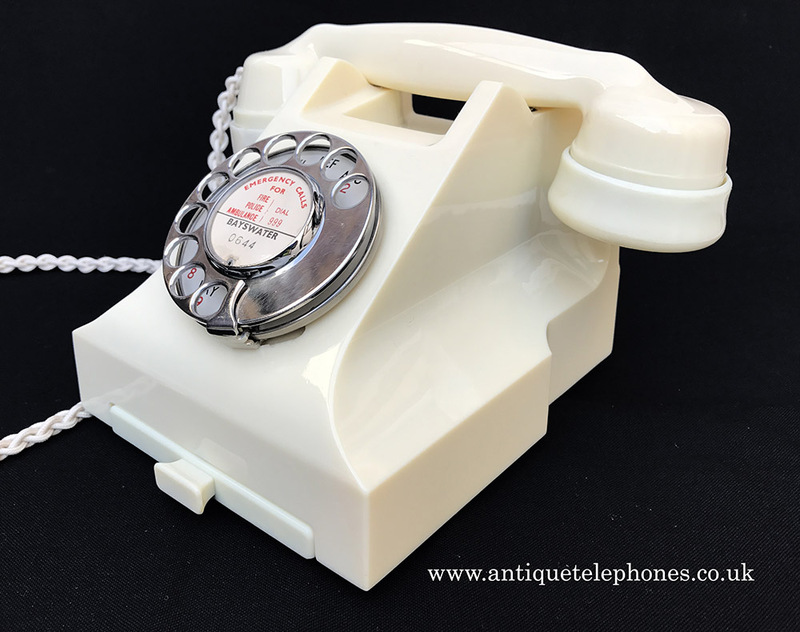 This is a collectors telephone but I am selling it at a very reasonable price. 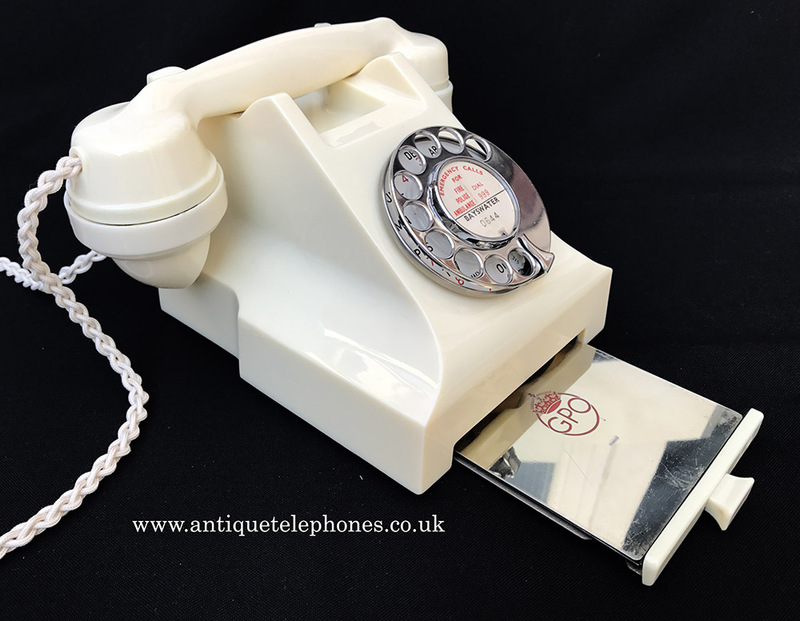 It is fully working to dial out and receive perfectly and has been fitted with a very best quality hand plated braided handset cord and GPO specification round plastic line in cord with a UK telephone plug. 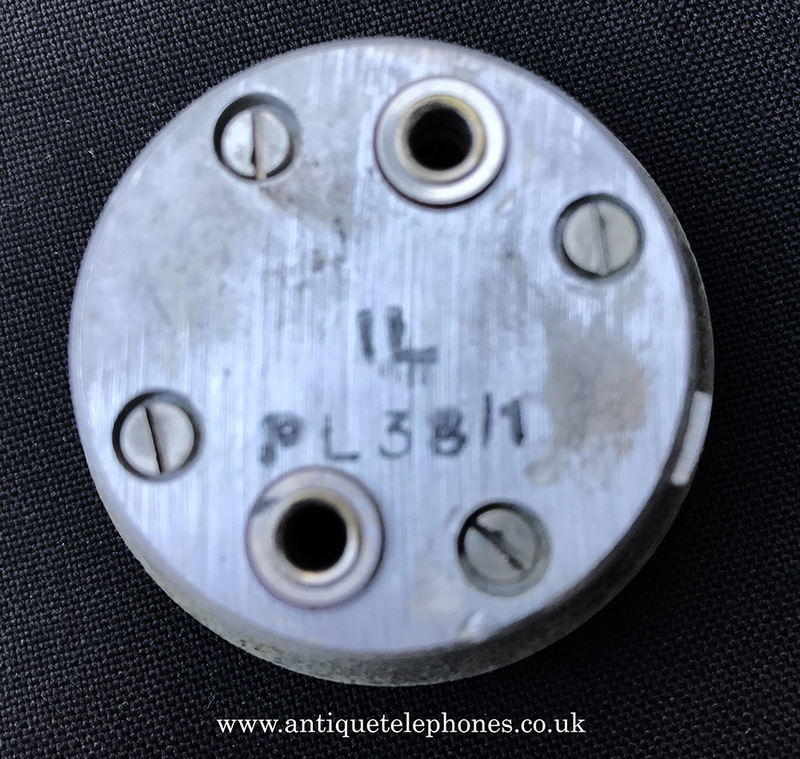 I have left the original receiver unit in pace dated 1938. I usually change these to improve reliever speech quality but if you want it changed please ask in the notes and I will replace it for an extra £5. 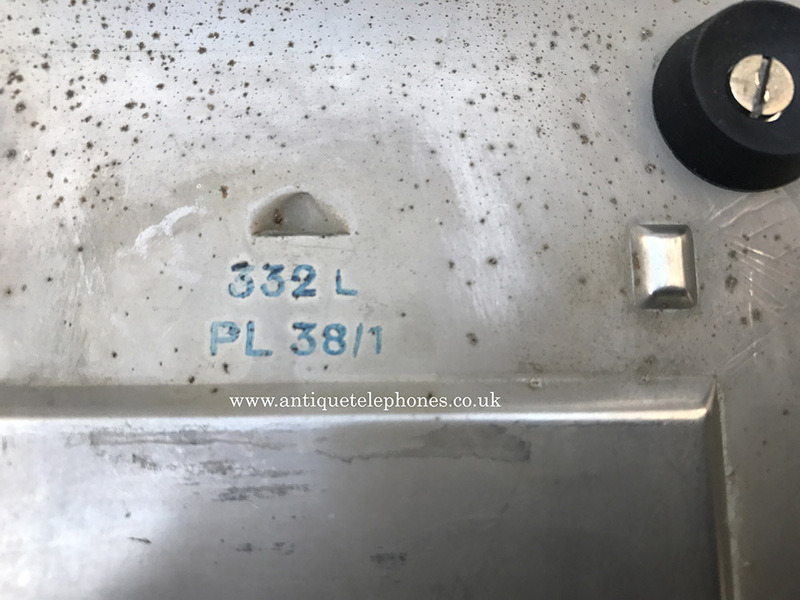 I have fitted perfect quality reproduction GPO specification feet because the originals had totally rotted. Please note that the GPO crested drawer in the condition would be £80 if bought separately. There are a couple of imperfections. 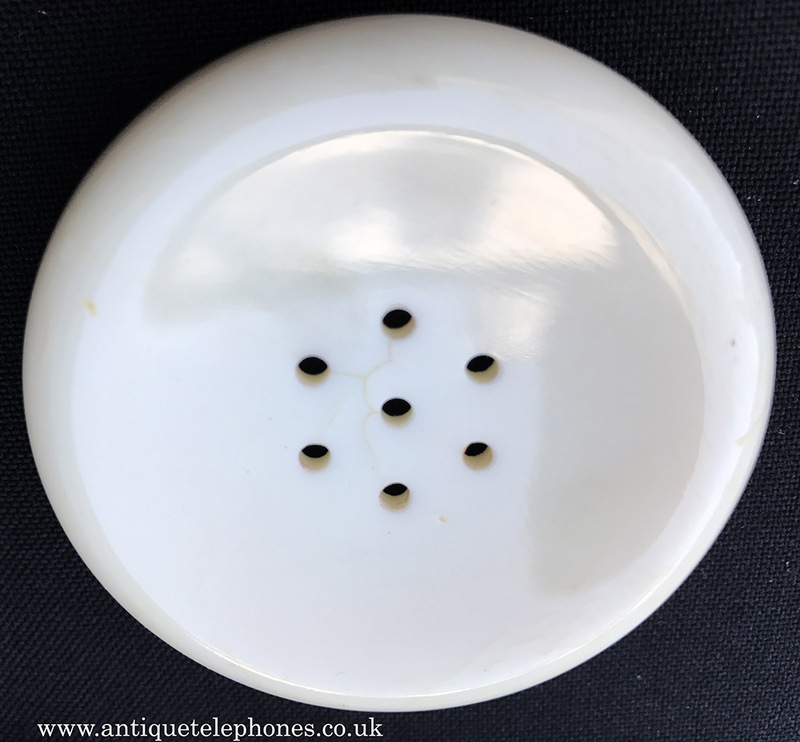 The mouthpiece is a later 1950s one and the earpiece is a little crazed and slightly discoloured. A very small crack in the handset at the mouthpiece end as can be seen in the video. 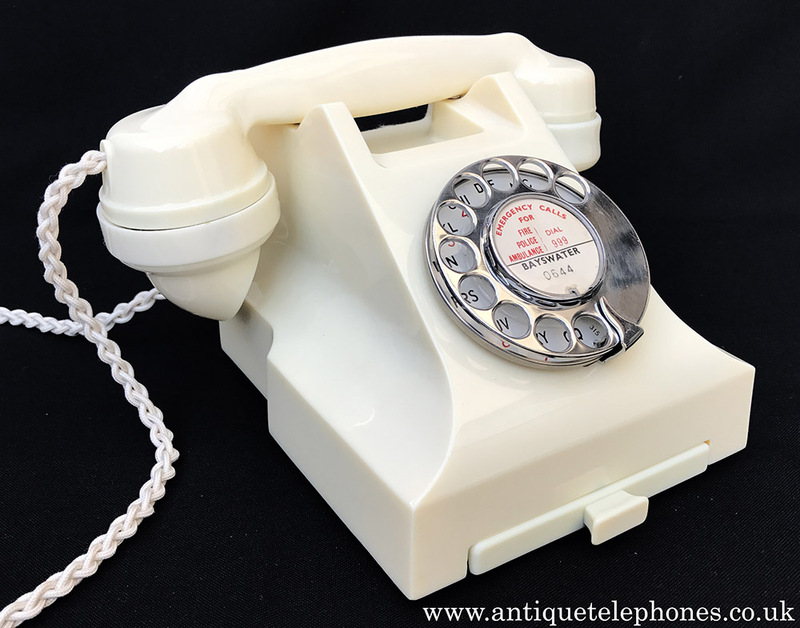 The dial is dated 1959 and is in wonderful condition. As you can see this is a special telephone which has been right through world war 2. 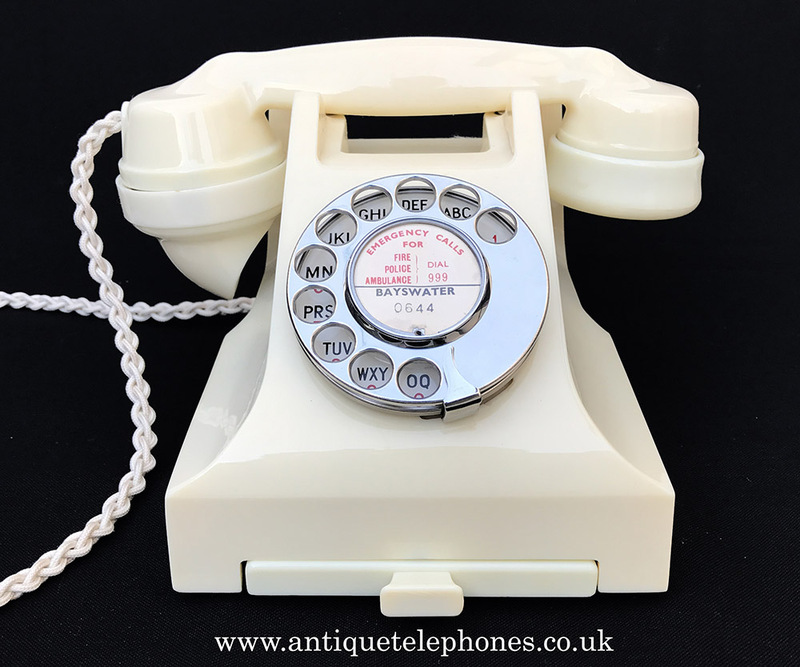 I have kept the original dial label it came with and you can have one made with your own information at no extra charge if you prefer. As you can see I like this one and if still collecting would be a keeper.